I hope you are all having a peaceful Sunday. It is cold and rainy here, so it's the perfect weather to stay inside and craft. I have been very busy with Valentine orders and lots of baby shower invitation orders. I have also been working on this week's Crafting with Kids Challenge post, so be sure to check back on Thursday for the new challenge. The inspiration for today's Silhouette Sunday post came from this awesome Etsy find. 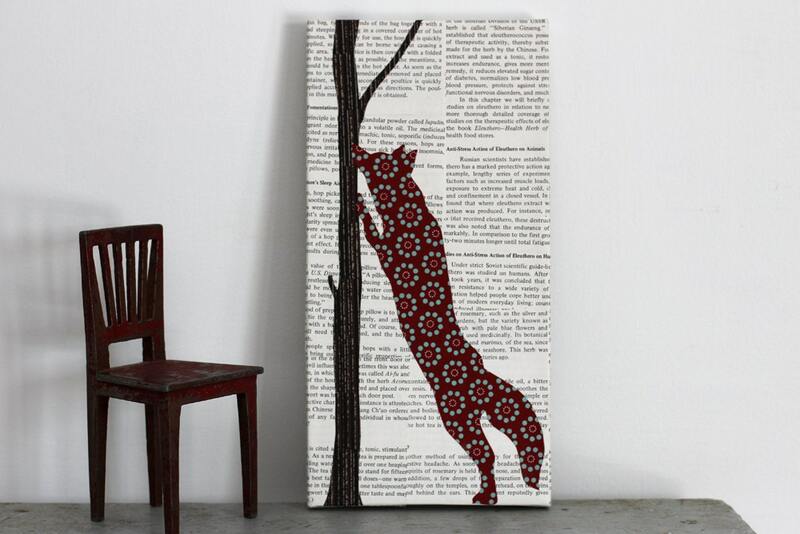 I just love the woodland scene on top of the salvaged book pages. It is all made from paper using a collage technique. Very cool, right? You can find this fabulous art work over at FiddleheadsForFiona. They have some other great silhouettes on book print in bright colors and a variety of animals like this beautiful pieces. 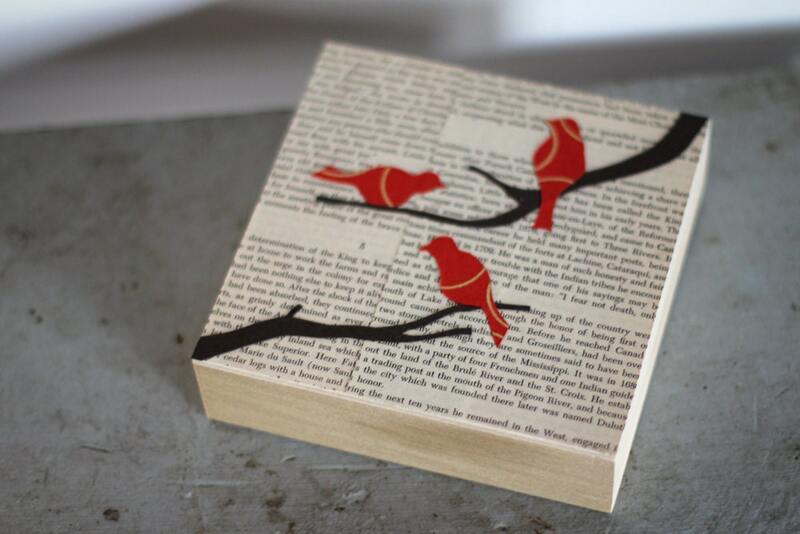 The bright red birds just pop on the neutral book print background. If you are looking for a less modern and more dreamy piece check out this one I found at the shop missquitecontrary. I love how the blue covers most of the book print and how the actual picture is made from the exposed print. It gives the leaves and trees such a dreamy effect! Lastly I couldn't resist this one especially for you dog lovers. These dauschunds are printed directly on a textbook page. 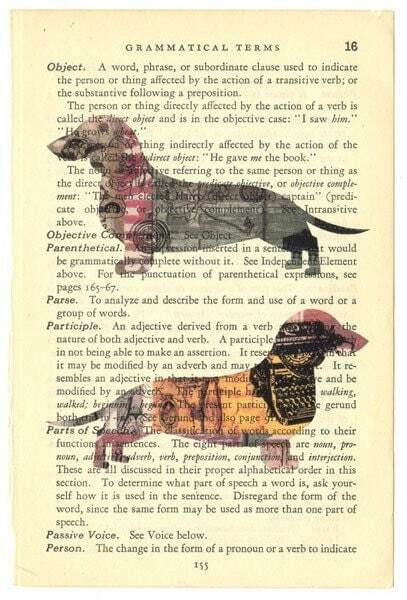 The awesome collage work of the dogs pair great with the aged color and texture of the book page. Check out TwinSoulArt for other dogs and collage art work. 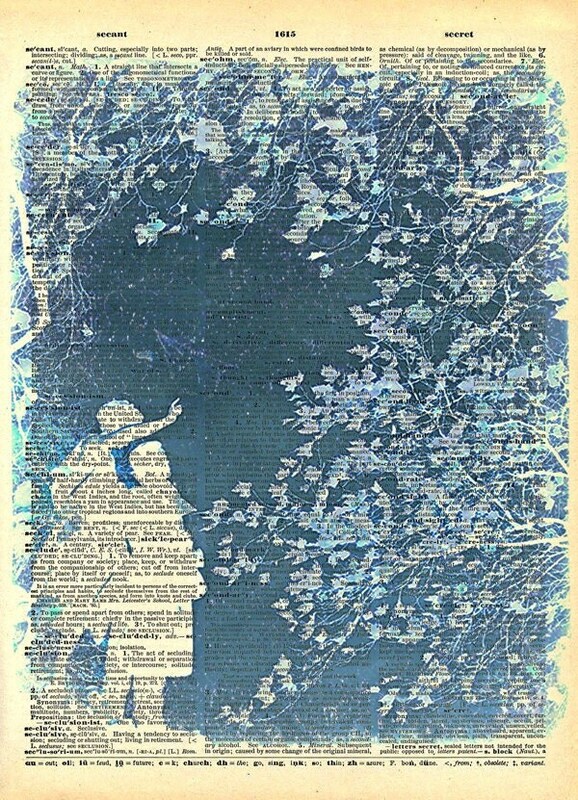 Well it took me a while to find one of my own creations using a silhouette on book print. I created this Father's day card last year for my shop. It would be great for Father's day or as a birthday card for Dad. 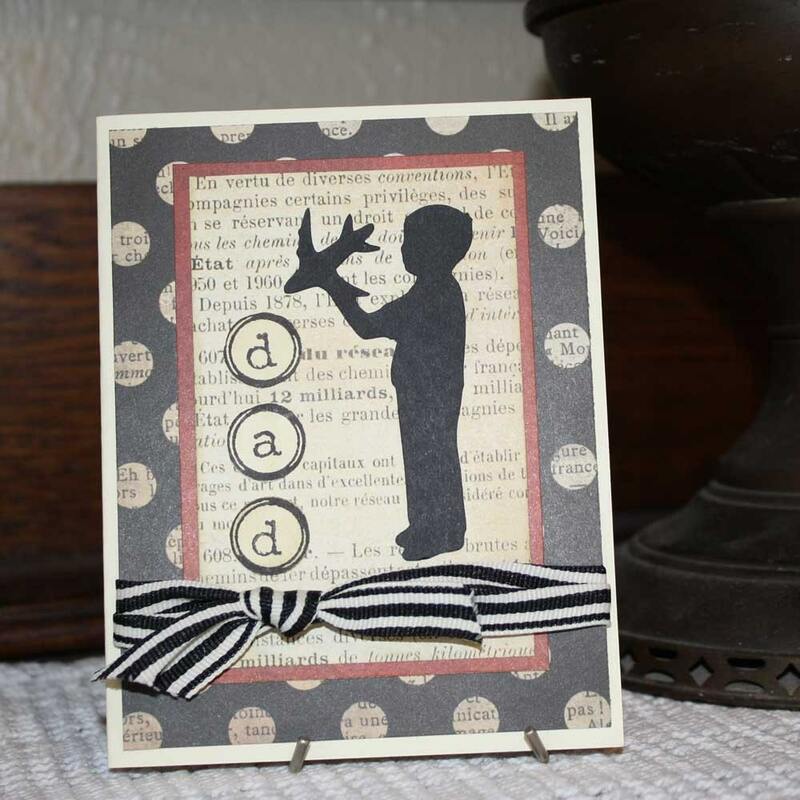 I used my favorite Cricut silhouette cartridge "Child's First Year" for the image of the boy and paper and ribbon are from My Minds Eye and Stampin Up. I hope you found some inspiration or maybe a gift or two in my Silhouette Sunday picks. I know I will be making some book print cards very soon. Such great inspiration! Check back next week for more fabulous silhouettes available on Etsy. Hi! Thanks so much for your lovely feature! And such beautiful company!